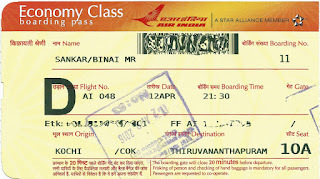 I looked at other options, and found that award tickets were available on Jet Airways 824 from Trivandrum to Bangalore for the next morning. This flight had perfect timings - I could head directly to office from the airport. Availability of award tickets was an icing on the cake. 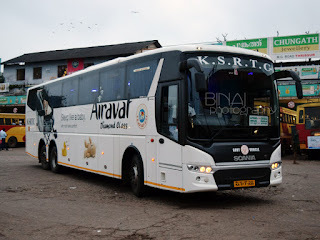 The next problem was to reach Trivandrum from my place - 240kms away! I looked at the possibility of taking a train - but reservations were closed, and the timings were a bit too close for comfort. I remembered the option of the late night Air India flight to Trivandrum - a quick check on their website revealed that tickets were available at the cheapest bracket! 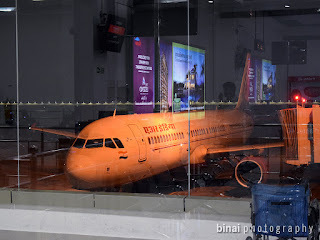 For some reason, I made the Air India booking on an OTA (I still wonder why did I do that), and the Jet Airways booking on the Jet Airways website (obviously). Tickets reached the mailbox in no time. 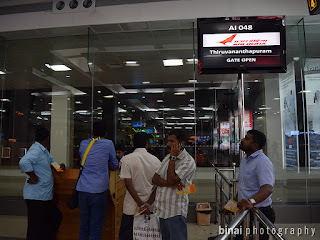 I was confused what I should do at Trivandrum for the 7h40m I'd be spending in Trivandrum. I enquired if TRV Airport had a dormitory - I was told there isn't one. 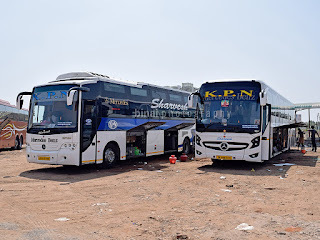 I decided to take a call after reaching Trivandrum. 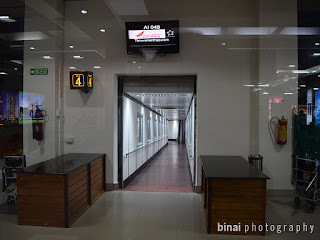 In the meantime, I headed to the Air India website to do a web-check-in. The process was quick, and I opted for #10A. It was a night flight, a very short one as well - really doesn't matter what seat I would be on. 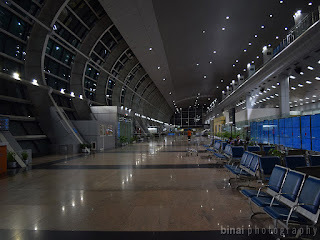 My brother dropped me at the airport by 2103hrs - I was actually late for the 2200hrs departure, since Air India closes check-in an hour in advance for their "International" flights. Yeah! 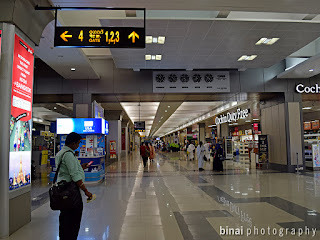 AI048 is an "international" connector, and hence arrives and departs from the International terminal. 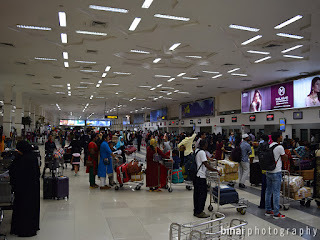 Entrance to the international terminal was crowded - chocked actually. 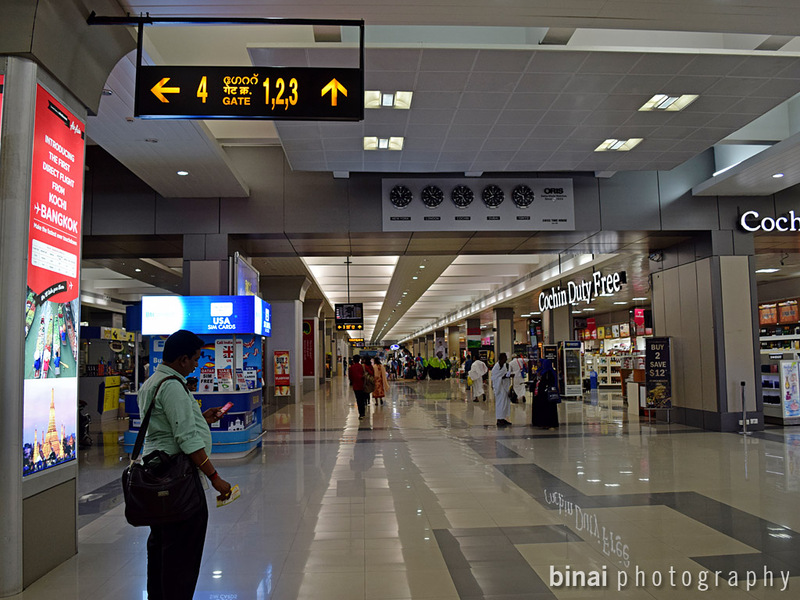 There were some 7 departures from this terminal in the next couple of hours - and that included a Jumbo to Jeddah! 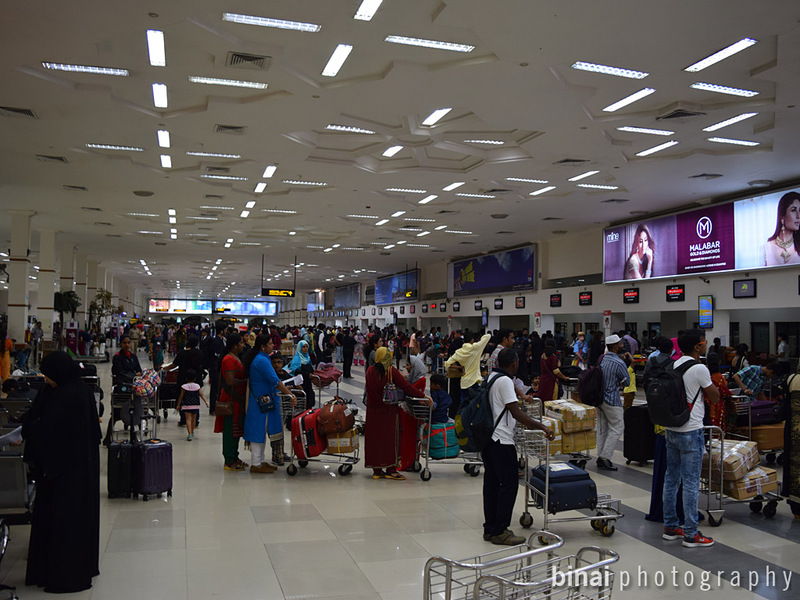 With so many departures, there were a lot of people around - including a couple of big Umrah groups. The queue at the entrance was long - but it moved quick, very quick. There was another round of checks inside - I had to cut a long queue there to get inside quick. The check-in area.. it was really crowded.. 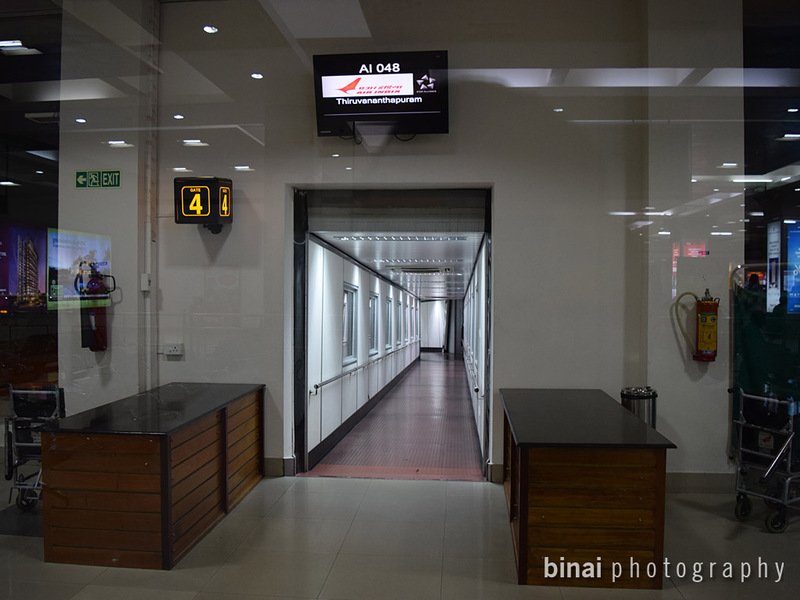 I rushed to the Air India counter - which was, luckily, empty. My boarding pass came quick (2110hrs). I quickly checked if I needed to have a declaration form - they confirmed that I need not. I walked through the Green channel - the Immigration officials just verified that I had a boarding pass with a large "D" on it (meaning, I was flying Domestic). Security check was full of confusions - a large Umrah group had already reached there, and the queue was already super long. Maybe I was lucky, just as I was near, an additional scanning machine was switched on, and a couple of frisking lines added. I cleared security by 2117hrs and headed up to the security hold. 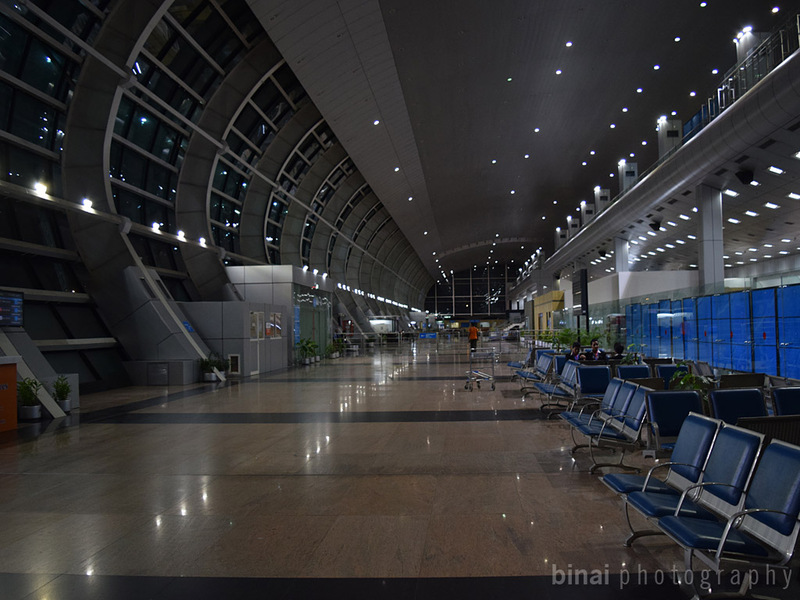 The terminal looked amazing at night - but was too crowded now. Gate #4 awaiting arrival of the aircraft..
My flight was to board from Gate #4, and I headed straight to the seating area of this gate. The terminal was really busy - a steady stream of arrivals and departures all the time. I loved watching a beautiful B744 of Saudia taxiing to the gate. 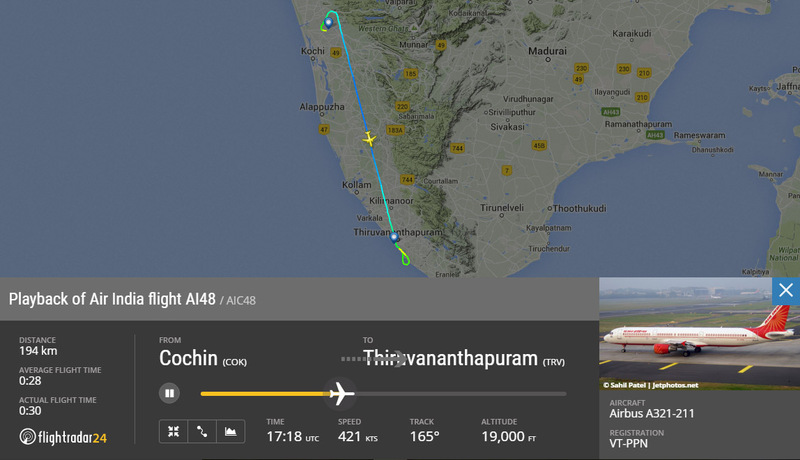 The aircraft flying AI048 (this one is a Delhi-Kochi-Trivandrum flight) landed at 2140hrs, and docked at gate #4. The aircraft was Papa November (VT-PPN), an A321-211 delivered to Air India in June 2009. This was also my first flight in an A321. Deplaning commenced quite late - there seemed to be a lot of pax alighting at Kochi. The first pre-boarding call was made at 2143hrs. They all call passengers traveling on a particular flight to the seating area during this call - they scan the boarding cards at the terminal equipment, and keep the passengers in a small hold. I've seen this process only at this airport (I mean the international terminal of COK, alone). VT-PPN docking at the gate..
Actual boarding commenced only at 2158hrs - with just two minutes to go for scheduled departure time. I was inside the aircraft by 2200hrs - two attendants gave a smiling welcome at the door. 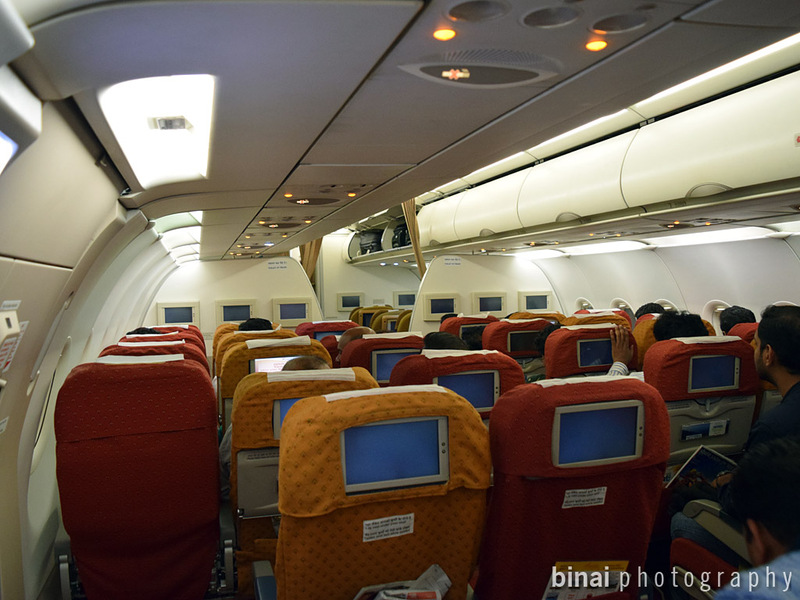 The aircraft seemed quite empty - there was only one passenger in Executive class, while there seemed to be less than a 100 pax in Economy class. The cabin was quite hot as well. It seemed like the air-conditioning wasn't working as well. Sometime later, and external unit was attached - some cooling started after that. People were trickling in one by one. 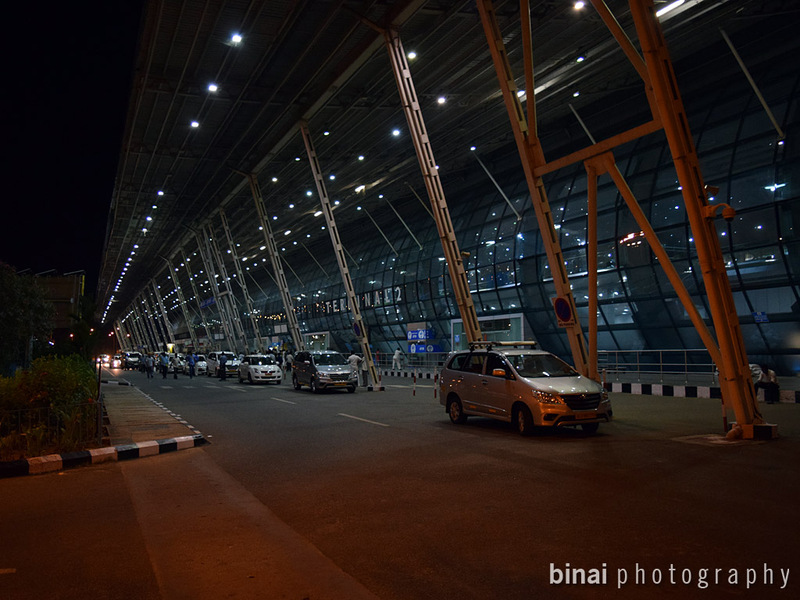 Boarding was finally completed at 2215hrs. The Crew to arm all doors and cross check call came by 2218hrs. We were pushed back at 2221hrs. The cabin got hot as the external air-conditioner was disconnected. Inside the aircraft. The PTVs showed only a live map through the flight. The welcome announcements started flowing. In the deck was Capt R Bhandary, and the cabin crew in-charge was Amit. The cabin got cool soon after the engine spooled up. We commenced taxi at 2226hrs and headed towards Rwy27. It started raining as we entered the taxiway. The long taxi was quite slow, however. We passed the runway holding point C5 at 2233hrs, and turned directly on to the active runway. We were finally airborne at 2235hrs. We climbed to the west before turning south, towards Trivandrum. This was my first flight to the south. It rained quite heavy as we climbed. The seatbelt sign was turned off at 2239hrs. The crew disappeared to the galley as soon as the seatbelt signs were switched off - they returned only when the seatbelt sign was switched on again. We were cruising at FL190. There was nothing special or noteworthy through the flight. The seatbelt sign was turned on at 2253hrs, followed by the landing calls from the deck. We were now passing over Trivandrum city, towards the south. We then flew over the seas to turn around and align to ILS. 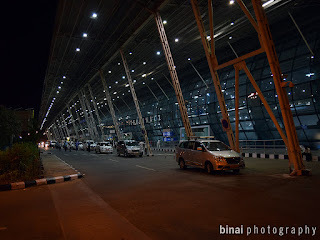 We finally touched down on Rwy32 at 2304hrs, and exited via D to reach the stand (#25) at 2308hrs. 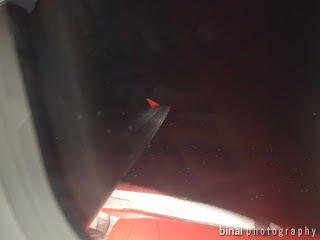 The engine remained on for quite some time - the captain came on the PA system and informed that the delay to switch off engine was due to some technical delay related to ground equipment. The engine was finally switched off at 2310hrs. Deplaning commenced at 2313hrs. I was out of the aircraft by 2315hrs. 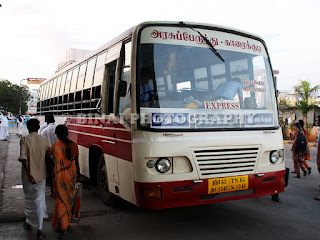 The immigration and customs staff were present - but did not check any passengers, since this was the only arrival at that time. I was out of the airport by 2320hrs. Flagged down an auto to get to the city centre and checked into a hotel room. Catering: Does not apply! Not even a bottle of water was served. The flight tracking from FR24.. 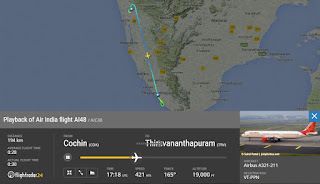 This was a quick (49 minute) flight inside the state of Kerala, on the national carrier! The flight performed its basic function - took me from point A to point B. There was no element of service involved - just the safety demo, and ensuring that the cabin was ready for landing. It was a really short flight, but they could've at least served water. Overall an incident free flight.